Here are top fun things to do in Santo Domingo, Dominican Republic. The capital city vibrates with the rhythms of the Caribbean. Historic, cultural, colorful and charming, it offers a host of fabulous adventures. Explore the ancient center, A World Heritage Site, filled with reminders of Christopher Columbus who had such a huge impact on the New World. Visit a modern day light house with a massive beam that can be seen for miles. Outdoor lovers can enjoy water sports like snorkeling, scuba diving and kayaking. For an adrenaline rush, climb down into a stunning underground cavern filled with enormous lagoons and then picnic in a beautiful landscaped park.The whole family will be thrilled at an indoor aquarium and party animals can eat, drink and dance the night way before setting off for a traditional breakfast in a quaint local eatery. 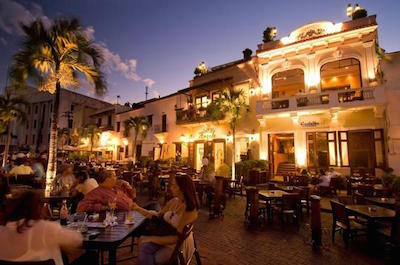 Read on to learn about Santo Domingo activities. Culture, art and history abound in the Dominican Republic and exploring this aspect of the Island is a fascinating thing to do in Santo Domingo. Set off on a tour in Santo Domingo to the cities of Moca and Bonao. Your guide will take you to quaint artisan stores where you will be enchanted by the hand crafted jewelry and pottery. Buy a faceless doll, a unique icon of the Republic. Learn about the famous artist Cándido Bidó when you visit the Museum in the Cultural Center. End your tour being awed at the magnificent Iglesia Corazón de Jesus. The whole family will be thrilled to learn about the battle of Santo Domingo while watching and taking part in a 4D experience. Get immersed in this virtual world and relive the invasion of the walled city, dodging cannon balls, avoiding pirate's swords and feeling the heat of the fires! Setting out on a day trip is another exciting thing to do in Santo Domingo. You will find a fabulous choice of tours that take you both out to sea and inland. Start with a visit to Saona Island on a catamaran cruise. 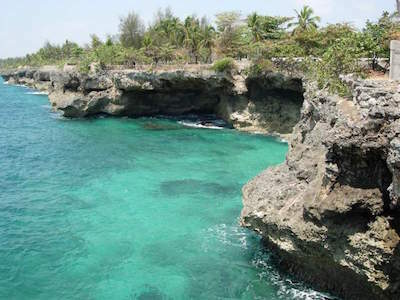 This is a paradise venue where you can choose to relax on the pristine beach, explore the caves and lagoons or snorkel to see the teeming marine life. Nature lovers will enjoy a day trip to Lago Enriquillo and the Isla Cabritos National Park. See iguanas, beautiful butterflies, scorpions and exotic birds. Be thrilled at the ancient cave art in a Taino cave. For local arts, crafts and culture, book a day trip to Bonao and Moca. Shop for jewelry and pottery and the famous faceless dolls that define the culture of the Island. Party animals will be delighted to know that food, wine and nightlife is vibrant and happening and is another fabulous thing to do in Santo Domingo. Ride on a Hop On and Off Bus that visits famous bars like the Oak Rum and Maquiavelo Bar. Sample a drink at each, mingle and dance in the streets! Your guide will update you on the history of each spot. Enjoy a tour that includes vibrant Salsa dancing and a meal at a traditional restaurant. The colorful Malecón waterfront thumps with Caribbean style music and calls for an all-night party. For a more relaxed take on the edible delights, chocolate is a must. Learn about the process from planting to growing and indulging in a bar or two of this addictive delicacy! Lovers of the outdoors will be thrilled to know that there are many things to do in Santo Domingo. Head for Lago Enriquillo and take a boat trip across the biggest lake in the Caribbean. Hike in the Cabritos National park and discover beautiful butterflies and scary scorpions and iguanas. Get wet and inspired when you swim with the dolphins, creating lifetime memories to take home with you. Then get onto the water in a kayak and follow your guide down the massive Chavon River, viewing amazing tropical jungle scenery as you paddle leisurely along. When planning things to do in Santo Domingo, don't forget sightseeing tours. 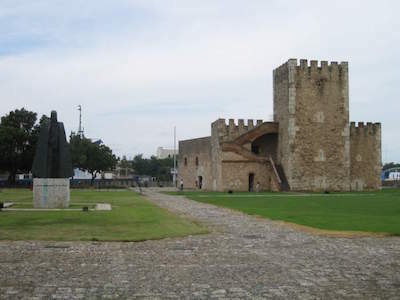 See Santo Domingo first, it is the oldest European settlement in the western hemisphere. 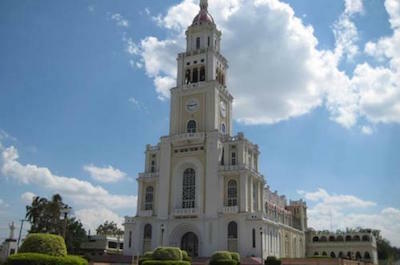 Explore the many churches, visit the Colonial Zone, a World Heritage Site and see the beautiful Botanical Garden. Plan a day trip to Puerto Plata. This little port city offers a lovely historical center and a Museum. Take an aerial tramway up Mt Isabel de Torres. Cigar lovers will be enchanted to visit the Tabacalera de Garcia, the most famous cigar factory in the world. Learn how cigars are made and buy a Montecristo to take home! Then take a chocolate tour to learn how this delicacy is made from planting to harvesting and processing. Sampling a bar is a must-do! Lovers of the ocean will be enchanted by the amazing choice of things to do in Santo Domingo and a variety of Santo Domingo activities. Water sports are the order of the day and the all year round sunshine makes it easy to pursue these activities. Snorkeling and scuba diving tours offer you expert advice and lessons for beginners. Equipment is also provided if required. Explore the amazing reefs like the famous Wall and get to see the colourful marine life that exists in these tropical waters. Kayaking is another fabulous option. Take a tour that includes a zipline thrill followed by a kayak trip. Paddle down the Chavon River following your guide, to see the fabulous lush tropical scenery. The water is calm and tranquil and the trip suits all ages and abilities. Hidden amongst the vibrant and colorful ambiance of the Dominican Republic is a small enclave that is totally European, charming and quaint! 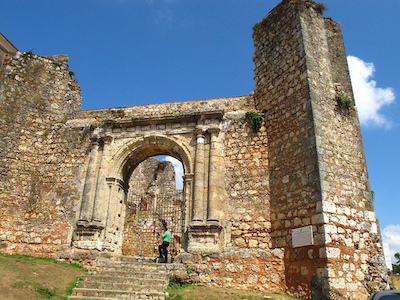 Exploring this region is a cool thing to do in Santo Domingo. The Colonial Zone is the most popular point of interest in Santo Domingo, that takes you back in time to Christopher Columbus and the first structures of western civilization. It is filled with narrow cobblestone streets, quaint stores, small local restaurants and lovely parks. Take pictures of the huge statue of Columbus, cast in bronze and walk along Calle Las Damas, the oldest paved street in the New World. Be awed at the beautiful architecture as you stroll around. See the Palace, built by the son of Columbus and then visit the oldest Cathedral in the Western world, the Catedral Primada de America. Stop at the National Pantheon, a Jesuit church, now used as a burial ground for well-to-do local citizens. End your day with delicious traditional meal of fresh seafood. After some breathtaking ziplining and kayaking, relaxing in a magnificent landscaped garden is the next thing to in Santo Domingo. 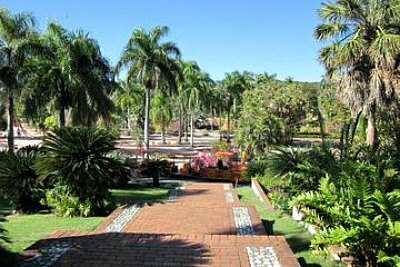 The National Botanical Garden was established in 1976 in honour of a Dominican botanist. Stroll along the paved pathways and admire the beautiful flowering plants. The atmosphere is calm and restful and you will rejuvenate your mind and spirit. If you prefer not to walk, a quaint tram winds its way around the Park and you will get to see all the displays in comfort. The Japanese Garden is a delight and cannot be missed! When you want to rest, set up on a blanket on the lush green lawns and enjoy a picnic basket. Everyone knows the story of Christopher Columbus, but you may not know that the family lived on this Island. 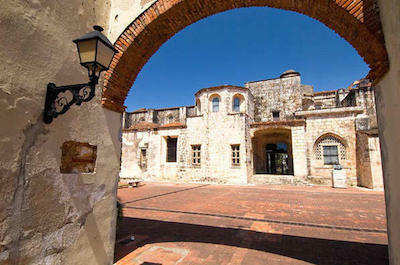 Exploring this historic site is an amazing thing to do in Santo Domingo. The venue, called Alcázar de Colón, is a protected Unesco World Heritage Site and is situated in the Colonial Zone. Today it is a Museum offering a stunning insight into the culture and history of the Dominican Republic. See the tapestries, artifacts, original furniture and old documents that are displayed. The original venue, built in 1515, was an ornate Palace of over fifty rooms with stone courtyards and landscaped gardens. 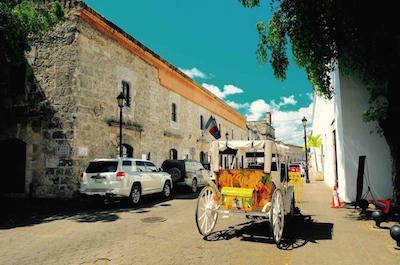 Going back in time to a Colonial era is a fascinating thing to do in Santo Domingo and one of the top Santo Domingo points of interest. Take a trip to Calle de las Damas in the Colonial Zone. It offers one of the first ever paved streets, the first hospital and the first customs house in the New World. Stroll down the quaint narrow cobblestone streets and admire the beautiful Spanish-style homes. Stop in at an ancient Church and see the Hoeyl Sofitel, the first solar clock built on the continent. The quaint shops, delightful traditional eateries and old-world charm will enchant. This picture-perfect setting calls for photos and a few souvenirs to take home. If you love visiting old churches, a trip to the Cathedral of Santa Maria la Menor is the next thing to do in Santo Domingo. It is the most well known religious venue in the Dominican Republic, and is acclaimed to be one of the oldest Cathedrals in the New World. Find it located in the protected Colonial Zone, a Unesco World Heritage Site. The church was constructed in the 1500's and offers a stunning example of classic Baroque and Gothic architecture. The towering stone walls will inspire and as you enter you will feel a sense of calm and peace. See the magnificent wood carvings and ancient religious Catholic artifacts that will thrill historians. For those who love exploring underground caves, a visit to Los Tres Ojos - The 3 Eyes National Park is another fabulous thing to do in Santo Domingo. This awe-inspiring natural venue has been formed over millions of years by water washing away the soft limestone, creating caverns filled with stunning stalagmites and stalactites. The unique open-air cavern offers three tranquil lakes fed from an underground river. Lagoons are locally called Eyes, giving rise to the name, The Three Eyes. 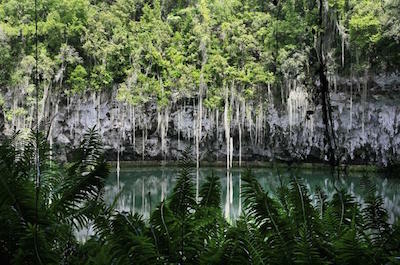 Take the long staircase down into the hole and then explore the banks of these massive lakes to discover tropical fauna and flora. They are home to a myriad of indigenous species. You can walk or take a boat trip while your knowledgeable guide updates you on the history and culture of the area, a must-visit Santo Domingo point of interest. After enjoying the Colonial style buildings, discovering a more modern structure is a different thing to do in Santo Domingo. The National Palace has an ominous history. 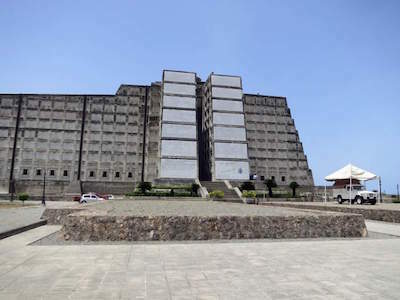 It was built in 1940's, a brutal period ruled by the dictator Rafael Trujillo, who was eventually assassinated in 1961. This massive structure will amaze as you walk up the long path surrounded by magnificent landscaped gardens and approach the building, dominated by pillars, flags and a huge dome. 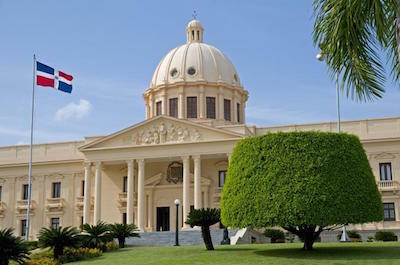 The building today is the seat of the Government of the Dominican Republic and as such is not open to visitors. You can however, stroll around the gardens and admire this important and striking venue. Protection of the Dominican Republic against sea-faring invaders was a huge concern. Massive fortresses were constructed and visiting one of them is a fabulous thing to do in Santo Domingo.The Ozama Fort is found in the Colonial Zone and offers an awe-inspiring stone structure filled with lookout towers and hidden corridors. Take a tour of this Unesco World Heritage Site and learn how it was built by the Spanish in a medieval style to guard the Port. If you are fit, climb up the tower in the center, known as the Torre del Homenaje and see panoramic views of the Ozama River and the Port. Then visit the powder-house nearby and see the imposing line of cannons that stand on guard. Taking photos of a massive towering statue of Christopher Columbus is the next thing to do in Santo Domingo. Visit Columbus Park, also known as Parque Colon, and mix and mingle with locals and tourists who relax here and soak up the sun. 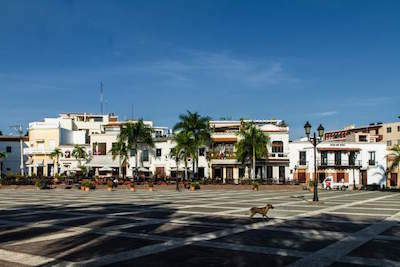 This busy square in the Colonial Zone, the most amazing Santo Domingo point of interest is filled with history and culture. Famous monuments border the square, visit the Catedral de Santa Maria la Menor and the Palacio Borgella. Then see the Catedral Primada de America, known to be the oldest cathedral in the Western Hemisphere. The Park is used to host numerous cultural events and is a good starting point to explore the Colonial Zone. 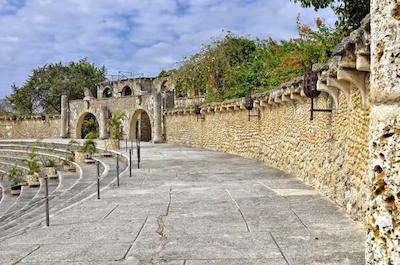 Stroll around a laid-back ancient suburb, it is a relaxing thing to do in Santo Domingo. The old Gazcue sector offers fabulous historical Spanish-colonial type architecture, quaint local restaurants tucked away on tiled walkways and boutique shops. This region is home to the upper-middle class and offers a change from the wild Caribbean vibe found elsewhere on the Island. Walk around and admire the stately buildings in the tree-lined streets, stop for a traditional meal and buy a souvenir to take home. Want to explore a fabulous cave? This is another exciting thing to do in Santo Domingo. Although the Cueva de las Maravillas was only discovered in 1926, it is over 100,000 years old. Take a day trip and go deep underground to explore these magnificent caverns. The cave tour is suitable for all ages and levels of fitness, a concrete walkway that is well lit allows you to explore easily. Be awed by the stalactites and stalagmites that form huge rock pillars resembling icicles. The walls are covered with over 400 drawings done by the Tainos Indians thousands of years ago. Your guide will give you a fascinating talk on the history of the cave. 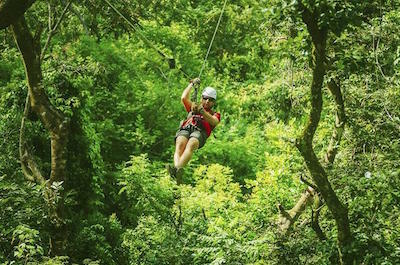 Ending your Dominican Republic vacation with a family adventure is the perfect thing to do in Santo Domingo with kids. Set off to the Aquamundo Sambil, an indoor aquarium experience that will thrill all ages. You don't need to get wet! Discover massive eels and barracudas. Walk through a scary tunnel with clear walls that allows you to see sharks circling all around. Kids can take part in feeding and even touch the stingrays and other marine creatures. Then see the Insect and Reptile Room where all types of creepy creatures will delight the young ones. A special interactive room for kids, built like a submarine, offers buttons and knobs to push that offer educational info about the creatures in the Aquarium. Discovering where the remains of Christopher Columbus lies is an awe-inspiring thing to do in Santo Domingo and a mind-blowing Santo Domingo point of interest. According to the locals, they lie at the site of Faro a Colón, the Columbus Lighthouse. This imposing concrete structure does not resemble your typical lighthouse. At first glance it appears more like a modern-day office block, shaped in a stepped pyramid style. But, you will discover that it has a huge, powerful light that shines out at night in a cross-shape and is so powerful that it can be seen as far away as Puerto Rico. Explore the museum inside the building, it offers a fabulous display of jewelry and an age-old Cuban sailing boat. You will never run out of options if you are searching for day-filled things to do in Santo Domingo. Join the excursion to Catalina Island, you will love every minute of this fun-packed tour. 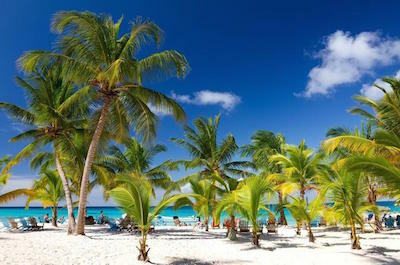 The trip starts with a 1.5 hour scenic drive along the coast to La Romana where your boat is waiting. Hop aboard and sail across the Caribbean to a picture-postcard paradise island. When you arrive you will be offered a refreshing drink and your guide will update you on the history and natural features of the island which lies within the protected Parque Nacional del Este. Enjoy some snorkeling at the famous Wall, where the amazing colorful marine life will thrill. Relax on the beach or have a swim. After this, you are surely hungry and a delicious Dominican buffet lunch will be welcome! Sample an exotic mixed drink called a Mama Juana, a mix of rum, red wine and honey soaked with herbs and tree bark. 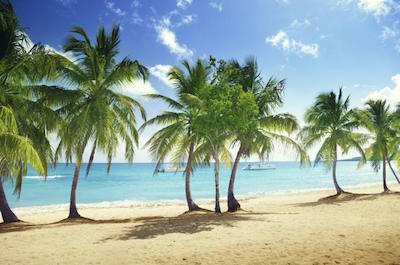 After lunch, relax in a hammock, walk along the beach or take a dip in the calm, warm waters. If you feel really energetic, learn how to dance the merengue with the local entertainers before heading back to your hotel. Strolling around a beautiful plaza must be on your list of things to do in Santo Domingo. The Plaza de Armas is a pedestrian area filled with shops and large open spaces where tourists and locals gather to relax and mingle. This is also the site of concerts, shows and festivals that that will keep you entertained. Visit the beautiful Plaza de Espana, it was built in the 1500's as a GovernorÕs home. It was also the home of Diego Columbus, the son of Christopher Columbus and is full of interesting artifacts and antiques. Take a tour to learn all about this fascinating and imposing venue and then relax in one of the nearby cafŽs and watch the people. Before you leave, buy a souvenir from one of the local vendors to take home as a reminder of your Santo Domingo adventure. Here is something to do in Santo Domingo that will be ideal for the whole family. The National Aquarium is the perfect place to see and learn all about the magnificent variations of underwater life without getting wet. Take a tour and discover flora and fauna native to the island. The different species of fish and marine animals are presented with educational panels - you may need some Spanish translation! You will see the sea turtles, moray, sharks, lobsters, eels and stingrays and more. This is one of the largest aquariums in the Caribbean and the locals are very proud of it as a tourist attraction. The main attraction is the clear plexiglass tunnel that you can walk through to see sharks and manta rays swimming around you in 360 degrees. There is also an auditorium that screens interesting films about the local marine life. After your tour, relax in the lovely shaded park outside and enjoy a picnic overlooking the Caribbean Sea while the kids romp around in the playground. 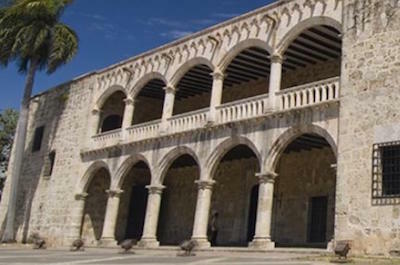 Lovers of ancient buildings will be delighted at the Monasterio de San Francisco and a visit is an unforgettable thing to do in Santo Domingo. This ancient monastery was built in 1508 when the Franciscan Fathers arrived. Today, although it is a ruin, it is still an awesome place to visit and explore and is one of the most important historical features of the city. 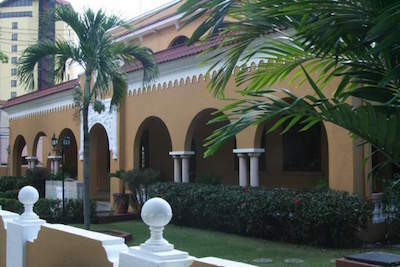 It is located in the Zona Colonial and has been declared a Dominican Heritage. This was the first monastery in the New World and has been devastated by a hurricanes and earthquakes over the years. Today, the ruins are a major local and tourist attraction and the venue of many Caribbean-inspired concerts featuring fabulous Merengue, Salsa and Bachata bands. Visit at sunset to explore the walls, flying buttresses and climb the many steps for fabulous views. Then settle down for an evening of entertainment with music, dance and traditional foods. If you can't live without your dose of retail therapy, a visit to the massive Agora Mall is the thing to do in Santo Domingo. This stylish mall offers world class shopping and entertainment for the whole family. Try out the pastry shops for coffee and cake and watch a movie. Then head to the food court for lunch, there is a huge choice of restaurants with every type of cuisine. After lunch, grab an ice-cream and wander around the four levels for shops. All the big brand names are here, like Armani, Bossini, Forever 21, Guess and more. Buy the kids some stylish T-shirts, a watch for Dad and a designer outfit for Mum. The Mall also offers cultural entertainment that changes from month to month, so ask at information to know what is on when you are there! One thing to do in Santo Domingo that you simply cannot miss out on is a tour on the Chu Chu Colonial. This fun little white train makes a perfect break from walking in the hot sun and is ideal for kids and the elderly. Climb aboard, take a seat on the wooden benches and travel through the historic section, Zona Colonial, of the city, learning about the five hundred years of history. During this informative 45 minute trip, you will be mesmerized as you explore the famous streets, pass the iconic buildings and beautiful old colonial churches. Hear the culture-rich stories of what took place on the island before and after the arrival of Christopher Columbus. Your guide will tell you all about the sights and give you interesting anecdotes as well as answer any questions you have. Tours depart every hour. It it is hot, wear a sun hat and take some bottled water along! Chocolate lovers will go weak at the knees when you hear about our next thing to do in Santo Domingo! Set off to the heart of the Zona Colonial to the famous ChocoMuseo. Chocolate is one of the biggest exports of this region and you will have a chance to learn all about how it is made and even get your hands sticky in a workshop. The Museum is located in a stunning 16th century building next to the Cathedral. Here you will find everything related to chocolate in a fascinating museum and an artisanal chocolate factory. Learn all about the process from the cacao tree to the finished chocolate bar. Sample some delightful variations and then join a workshop. This 5 hour heavenly experience takes you through the various stages of chocolate making from harvesting, fermentation, roasting, winnowing, grinding to preparing. Learn about tempering and mold your own chocolate with fillings of your choice. Prepare and enjoy some exotic hot chocolate drinks. You will surely believe that you have arrived in Heaven! No exotic island town is without a waterfront and Santo Domingo has one to boast about! The Malec—n and Avenida George Washington is the iconic promenade, the place to see and be seen. On Sundays, all motorized vehicles are banned and this section becomes a massive walkway and recreational area. Locals and tourists congregate here for meals, fun, people-watching and entertainment. The waterfront starts inside the Zona Colonial and follows the path of the original city wall to the 17th century San JosŽ Fort which was built to protect the Island from invading forces. A vibrant night life is found here, with massive crowds having fun dancing, listening to live music, eating at the many restaurants and enjoying a drink at the bars. Take a walk and enjoy the scenery and then settle down at the famous DÕLuis Parrillada, an outdoor restaurant next to the famous Montesino statue. Want more Caribbean-style shopping? Then heading to the Sambil Mall is the thing to do in Santo Domingo. This huge mall located in the center of the city is packed full of shops, restaurants, entertainment and also has an aquarium, play area, video games and 3D dinosaurs that will thrill the kids and keep them busy for hours. Explore the brand-name stores like Nike, Glam and Aldo. Relax in a restaurant and order an exotic Dominican lunch. Watch the colorful street entertainers giving a show of local dance and song and then enjoy an afternoon coffee and cake at the famous Krispy Kream shop. End your afternoon settling down to watch a movie, they are screened in English with Spanish sub-titles. Dinner is a must at the Pollo Tropical. A day spent at this Mall is a great way to beat the excessive heat or the rain and still enjoy an authentic island experience. Choosing a beautiful piece of amber as a gift for someone special is a rare and exciting thing to do in Santo Domingo. Set off to the Amber World Museum where you can learn all about the history and mining of this precious stone. Amber dances in the light with golden colors and is used in the making of necklaces, earrings, bracelets and other art pieces. Amber is only found in a few locations on the planet and the Dominican Republic is one of them. Walk through the museum and explore the many exhibits and see insect fossils still in the original stone and stunning amber sculptures made by local artisans. The exhibits explain the origins of amber, its use throughout the ages, the mining processes and its present-day value to the technological and art worlds. When you are done, visit the little jewelry store that sells pieces made from amber, larimar and other semi-precious stones. The National Zoological Park offers yet another thrilling thing to do in Santo Domingo. Take the whole family and enjoy a day out exploring this amazing Zoo. It is landscaped to allow the animals to live in surroundings that best resemble their natural habitat - no small cages and depressing enclosures! See the animals amongst the lush green vegetation that this island is known for. With over 300 species, you can get to see birds, mammals, fish, reptiles. Kids will love the hippos, the white Siberian tigers and the lions. See parrots and flamencos and make sure you get some photos. For the not-so-fit, the tired, the elderly and small kids, there is a small train that takes you around and makes for a relaxing and fun trip. When you are done, enjoy a refreshing ice cream and cool drink and sit on the lawns and relax while the kids play in the fun playground. This zoo is very active in conservation and research in the region. 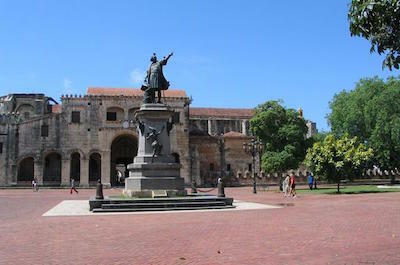 A great day-time thing to do in Santo Domingo! Don't forget the little ones. 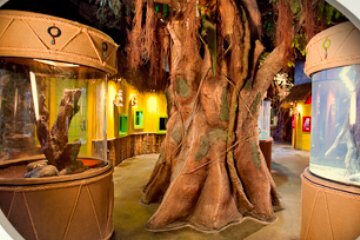 A visit to the Museo Infantil Trampolin is a fabulous thing to do in Santo Domingo and will thrill the kids. This museum covers everything from history to current day, Earth to the Universe and outer space, energy, colors, the human body, ecosystems, wildlife, fish and more. The exhibits are designed for small people and will keep them busy for hours. The interactive displays allow kids to touch and feel and get involved. They are quite loud, so be prepared! The guides are friendly and helpful and will answer any questions you or the kids have. Finish off the visit making something lovely to take home as a memento in the Origami class. When you are done, relax in the landscaped gardens and enjoy a bite to eat. The kids will be brimming full of new-found knowledge on this exciting thing to do in Santo Domingo. Mostly in Spanish for local kids, but tourist kids don't seem to mind.